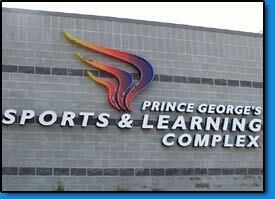 Sports Signs Gyms Athletic Signs Maryland Virginia Washington DC | KERLEY ELECTRICAL SIGNS, INC.
Everyone has there preference as to both their favorite sports and sports team. We all take great pride in our favored teams, some more than others. One of the things most commonly associated with all major sports is advertisement. Advertisements can come in many sizes, locations, and products, depending on the team/facility. The larger the franchise, the further their marketing campaign reaches. Fans love to see their teams respected logos or stadium names whenever possible. These signs can help your franchise stand out from the rest, as well as attract those who are perhaps indifferent as to which team they will route for. Here at Kerley Signs we understand your desire to set your franchise above the competition in every possible way. Our team of professional designers offer nothing but the highest level of craftsmanship in every sign we manufacture. Not only will we work with you to help deliver exactly what you're looking for, but with our extensive selection of sign styles as well color availability, matching logos and team colors is never an issue. So no matter the location, we have an option that'll work for you. Our signs can assist you in finding the proper seating section, where you parked your car, where the restrooms are, home and away sides, where the food vendors are, or just where the small town field is located. So don't waste any more time. Help your team/establishment convey the proper message. Knowing your team is the best, why not use the best? Contact Kerley Signs today.